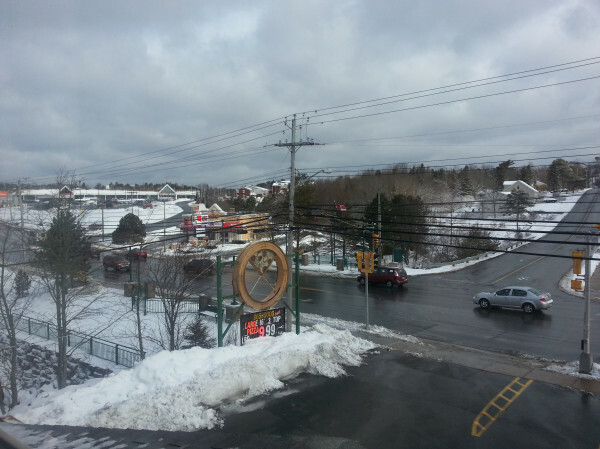 View Of #Sackville Drive From The Roof Of KOD. | Sack-Vegas!!!! View Of #Sackville Drive From The Roof Of KOD. I saw this pic floating around Twitter. What ya doin’ on the roof, yo? I wish it was of the whole intersection….it looks really different without the Motel there. There are a lot of accidents at this spot too. Maybe the photog should stay up there! Posted by Sacky on March 22, 2013 in Ramblings And Foolisness.